D&O insurance can overcome these concerns. not adequately deal with regulatory investigations. may precede notification to a regulatory body. •Which individuals are covered under the policy. by the firm has occurred. •Fines cannot be indemnified in the UK. 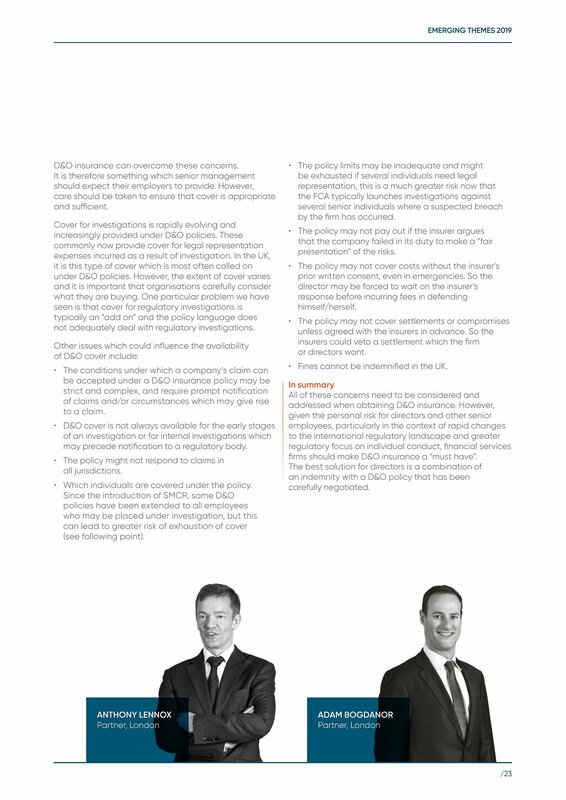 firms should make D&O insurance a “must have”.